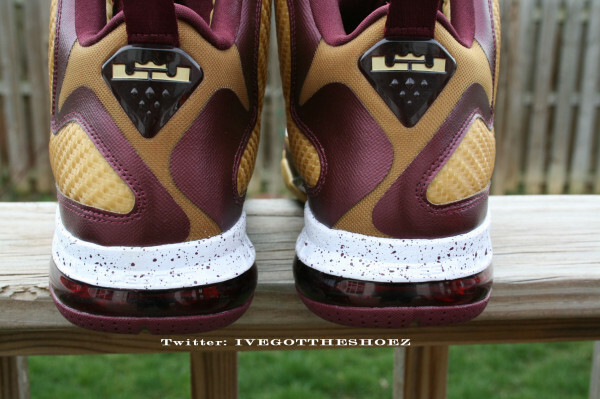 We follow up today's first look at the Christ The King home LeBron 9 with a look at the away colorway created for the Royals' road games. 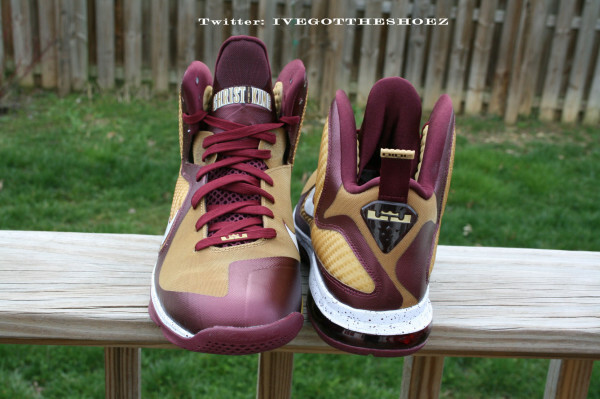 The "Christ the King" LeBron 9 Away features a combination of burgundy and gold, creating the perfect look to match the CTK Royals' road uniforms. 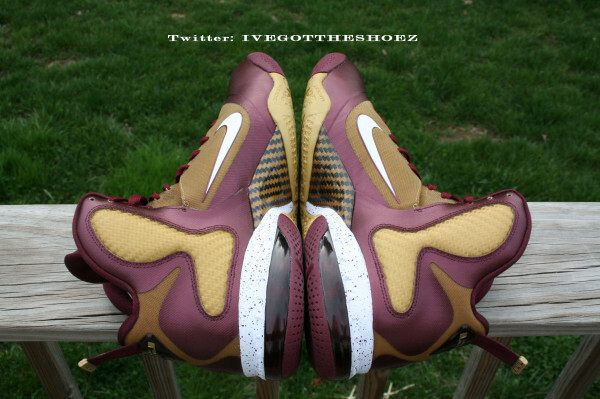 Metallic gold builds most of the look, taking care of the synthetic upper and lateral stability wing. Burgundy takes care of the synthetic overlays, while a white Swoosh and midsole add some contrast to the overall look. 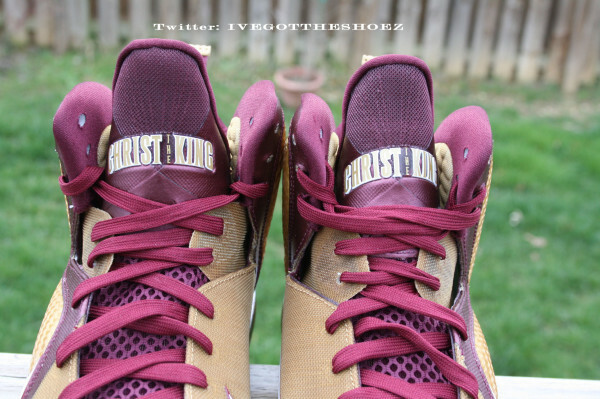 A Christ the King logo takes place on the tongue, replacing the LeBron signature used on general release versions of the LeBron 9. 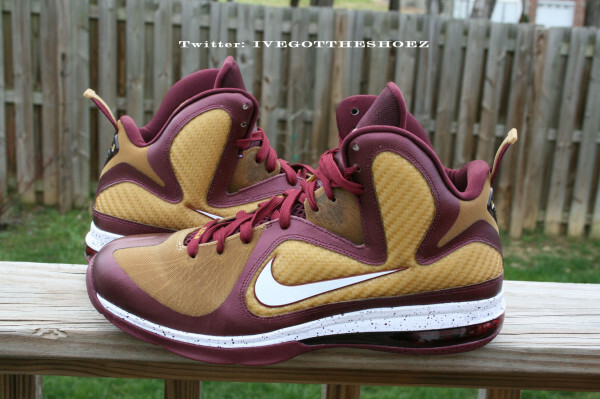 The "Christ the King" Nike LeBron 9 was created exclusively for the CTK basketball program and will not be releasing to the public.